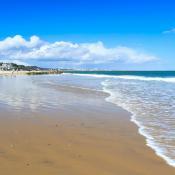 With almost 100 miles of coast it should be no surprise that Dorset has its fair share of great beaches. 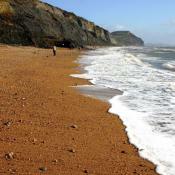 Yet what makes the Dorset coastline special is the diversity and range of coves and beaches. From sandbanks and spits to circular coves with weird and wonderful rock formations. 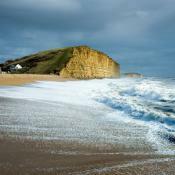 A large proportion of the coast in Dorset forms most of the Jurassic Coast, England's first UNESCO World Heritage Site. 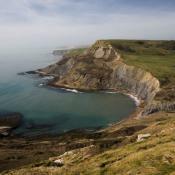 The Jurassic Coast stretches from Old Harry Rocks near Swanage to the border with Devon at Lyme Regis. The coast owes its status as a World Heritage Site to the unique insight into the Earth's geology it offers. It has been described as a geological 'walk through time' spanning the 185 million years of the Triassic, Jurassic and Cretaceous periods. The coast here is also a haven for palaeontologists with a high concentrations of fossils, although fossil hunters have pretty much emptied the area around Lyme Regis. 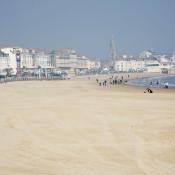 The beaches of Dorset are not only of interest to scientists though. 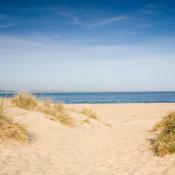 There are some great family beaches and Blue Flag awards have been given to 9 beaches in East Dorset, mainly in the Bournemouth and Poole area. 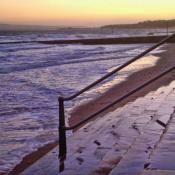 There are also a few good surf spots in Dorset. 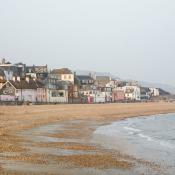 The most popular are the Bournemouth beaches, particularly by the Pier and Southbourne, however, just along the coast is one of the best reef breaks in the UK (when it works and the army aren't blowing things up, which isn't too often!) at Kimmeridge. 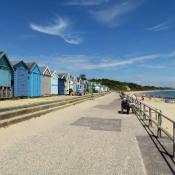 If you would like information on all of the UK's beaches have a look at the UK Beaches Guide website.